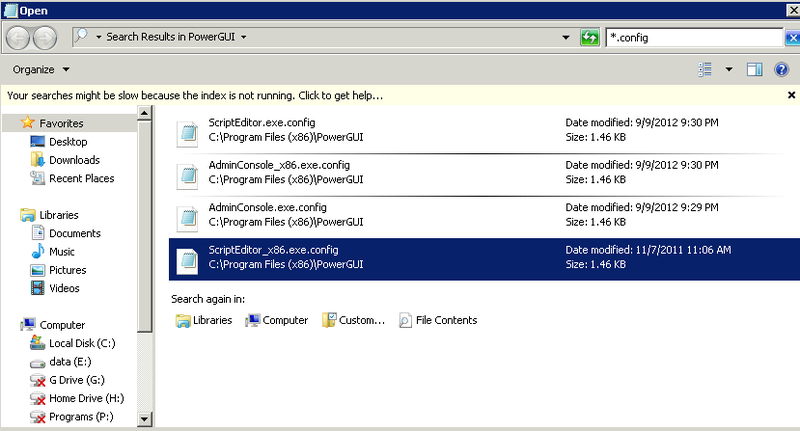 PowerGUI does not work when running SharePoint Scripts because by default the FOUR Config files have the Run times and reverse Order. Switch them around like this and your SharePoint Scripts will now work. You will need to open them in NotePad running as Administrator! Hope this saves the day for someone.